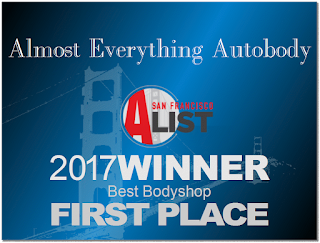 Yes, the before and after pictures really are the same car. 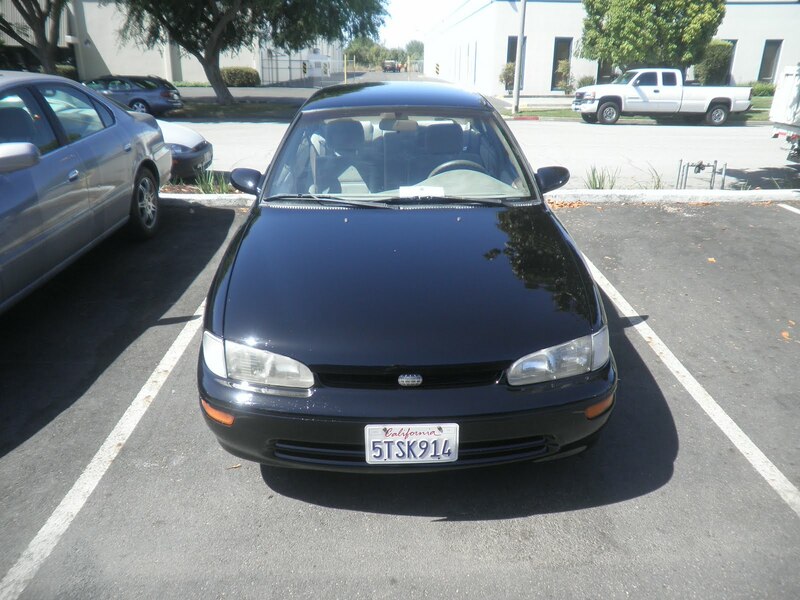 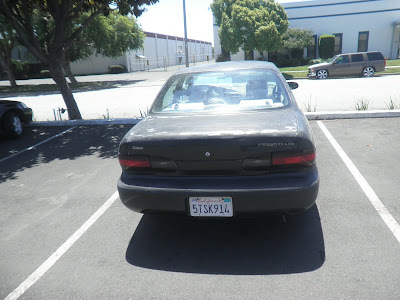 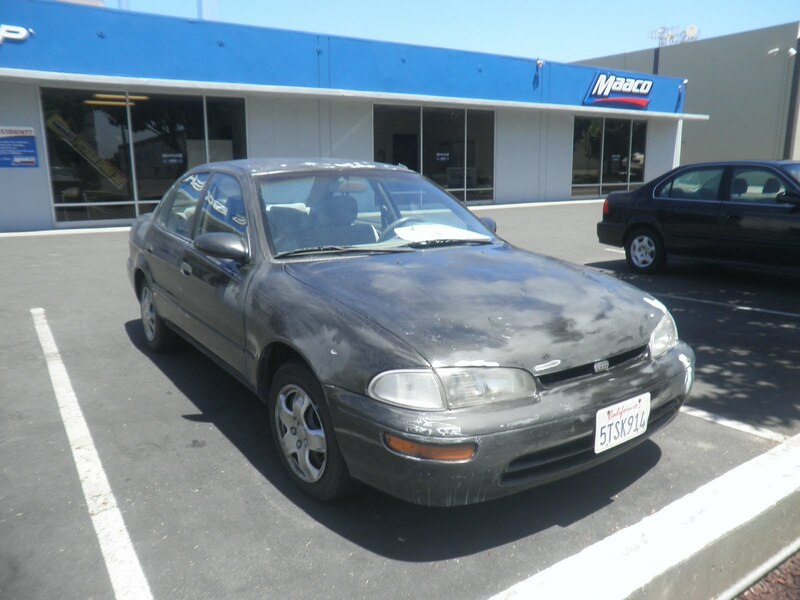 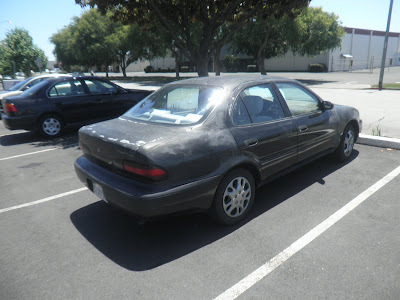 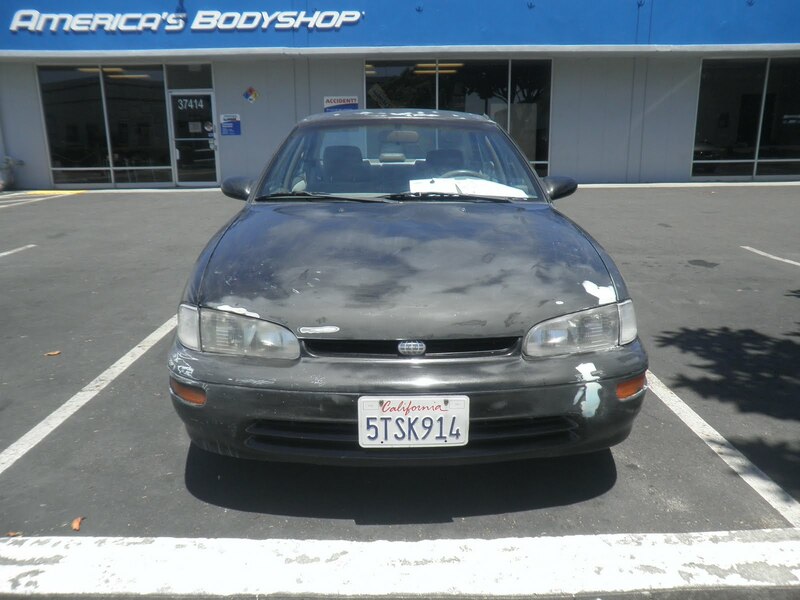 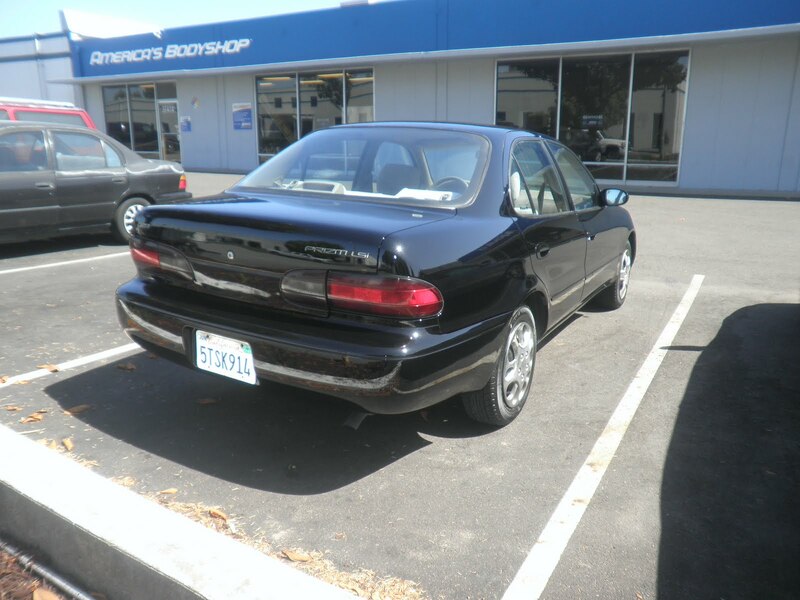 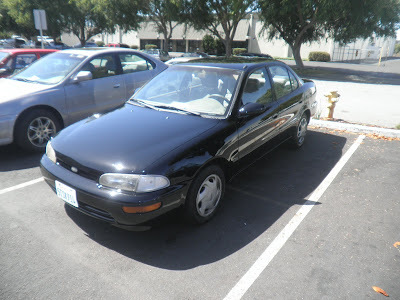 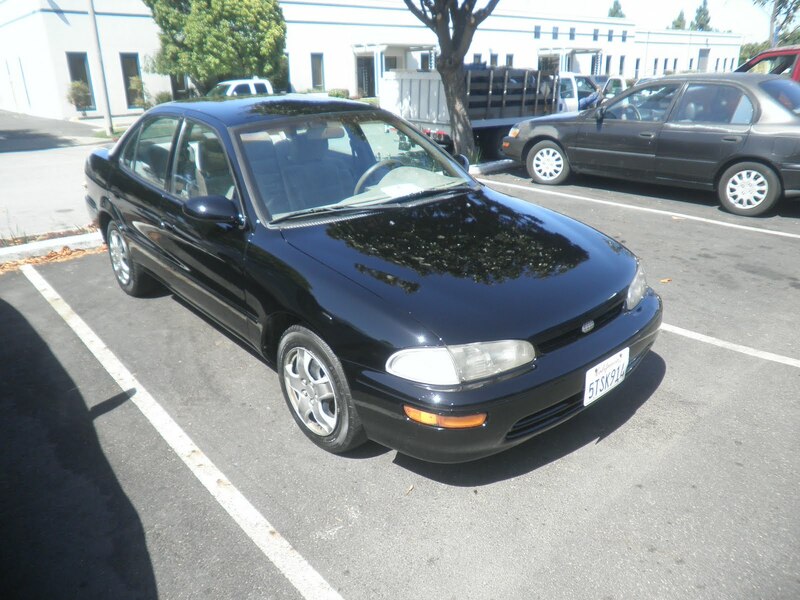 Almost Everything's Car of the Day is a 1997 Geo Prizm. 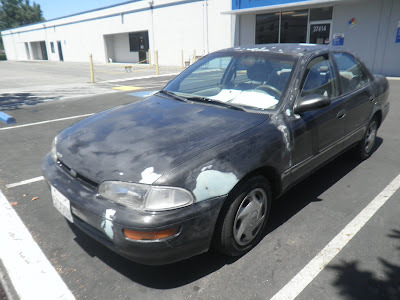 If ever there was a car in need of a paint job, this was it. 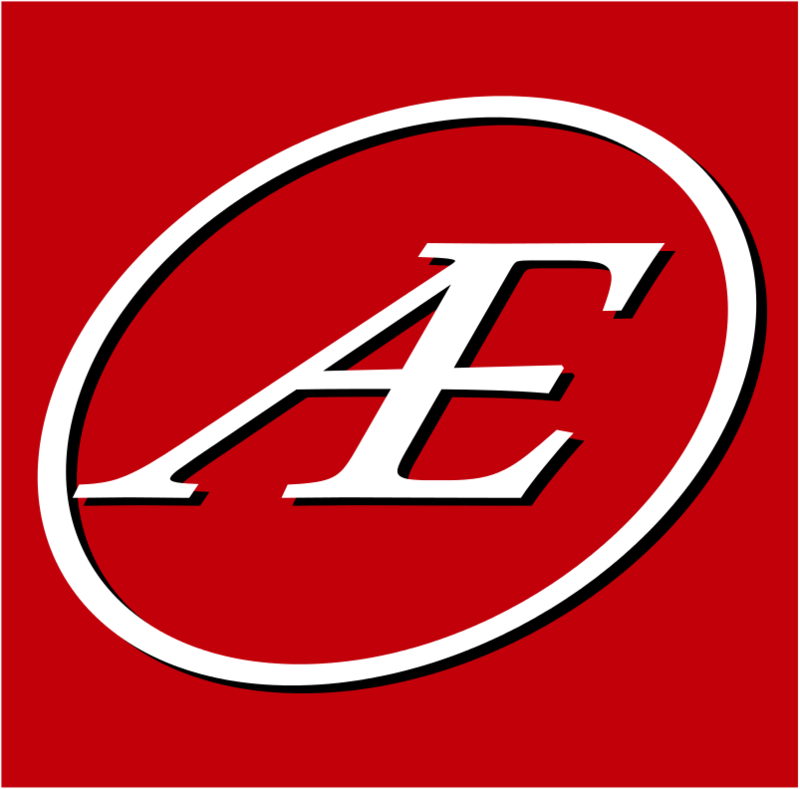 The customer chose our most economical enamel. 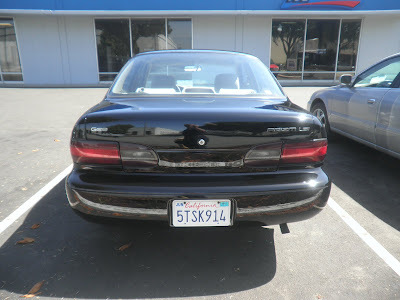 And for the price of one or 2 car payments, he turned this horrible looking mess into what looks like a new car.